COMING SOON! GORGEOUS 5 BEDROOM HOME ON PREMIUM CUL-DE-SAC LOT WITH MOUNTAIN VIEWS. Courtyard entrance. Rotunda entry w stunning tile inlay. Downstairs features Formal Living Rm or Library w stunning custom bookcase, Formal Dining, lrg Family Room, separate Office, Kitchen, Dining area & 1 Bedroom w ensuite. Gourmet kitchen w HUGE island, slab granite counters, st/st appliances incl dbl ovens & gas cooktop, pantry + butler’s pantry. Regal staircase up to Loft, 3 Bedrms ea with walk-in closets, 2 baths & laundry (so convenient!). Master Suite w walk-in closet, lrg shower, sep garden tub, dual sinks. Oversized lot allows for lrg grass area, HUGE covd patio, built-in BBQ, fenced play pool & spa plus RV gate & side yard. Tons of storage! 2 1/2 car garage + split 1 car. CHK BACK FOR MORE PICS! Approximate size: 11727.00 sq. ft. Please, send me more information on this property: MLS# 5904985 – $530,000 – 5007 W Jomax Road, Phoenix, AZ 85083. 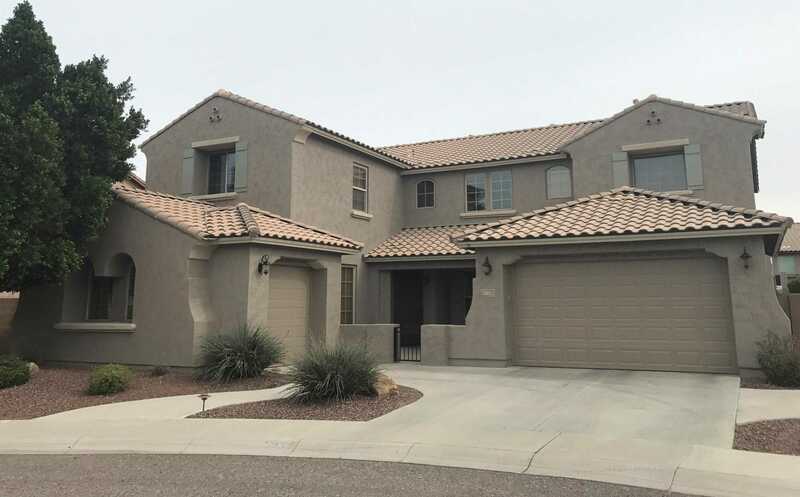 I would like to schedule a private showing for this property: MLS# 5904985 – $530,000 – 5007 W Jomax Road, Phoenix, AZ 85083.